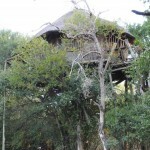 Treehouse 1 : Privately located and linked to the other treehouses by bridge across a seasonal stream, treehouse # 1 is built on stilts. 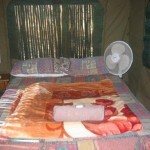 It has a double bed and is en suite. 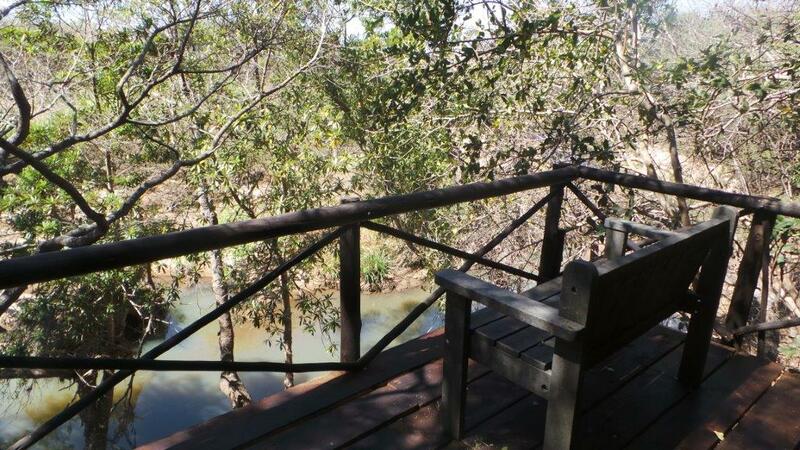 It has a bench very close to the river and at night the gurgling of the water as it flows through the rapids adds a soothing effect. 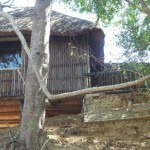 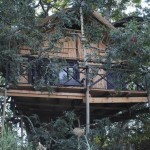 Treehouse 2 : One of the original treehouses, this unit has three branches of a Jackalberry tree growing right inside . 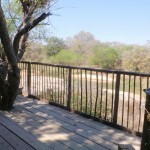 The view from the deck is unsurpassed. 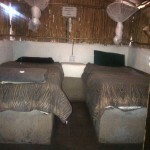 It has two single beds and outside toilet and open air shower. 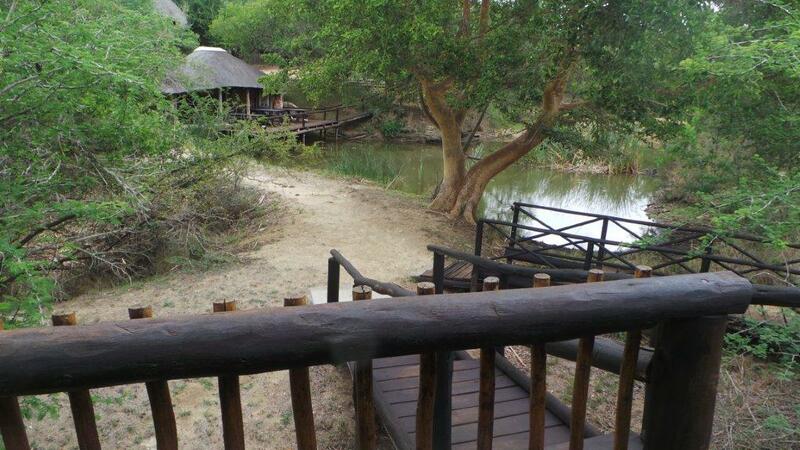 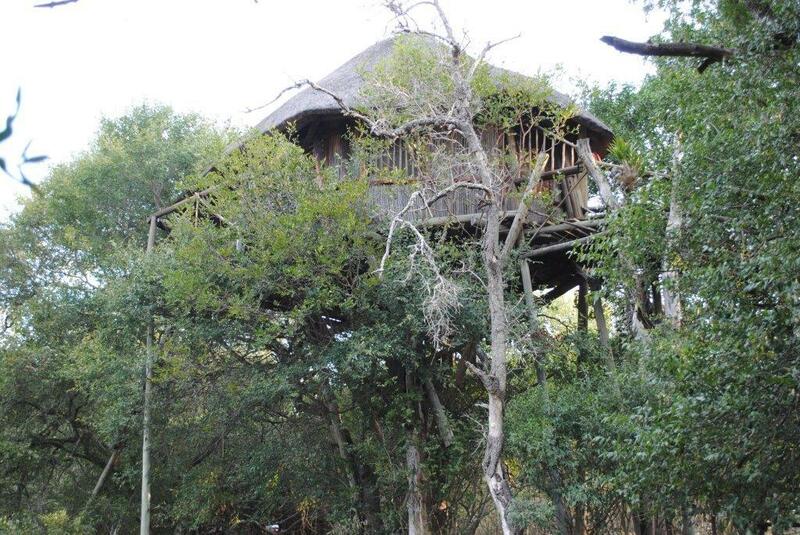 Treehouse 3 : The largest treehouse at the Lodge, this treehouse has a Natal Mahogany tree as its one corner support. 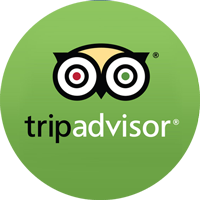 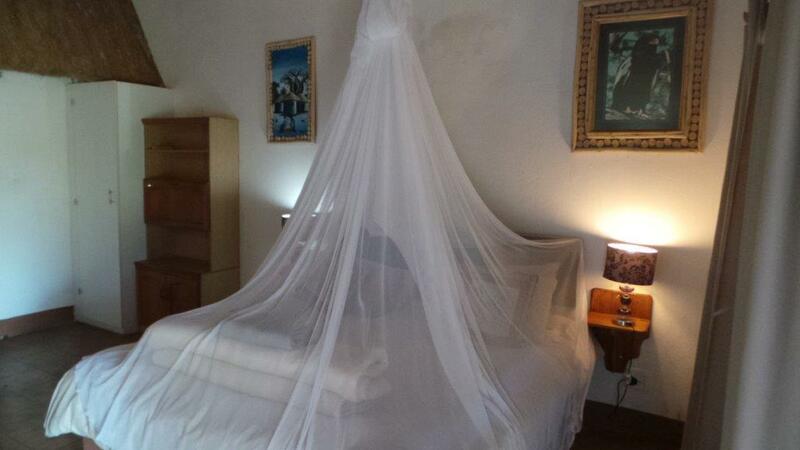 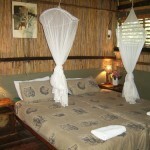 It is ideal for families and can accommodate up to 6 single beds. 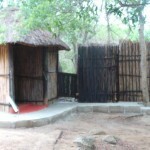 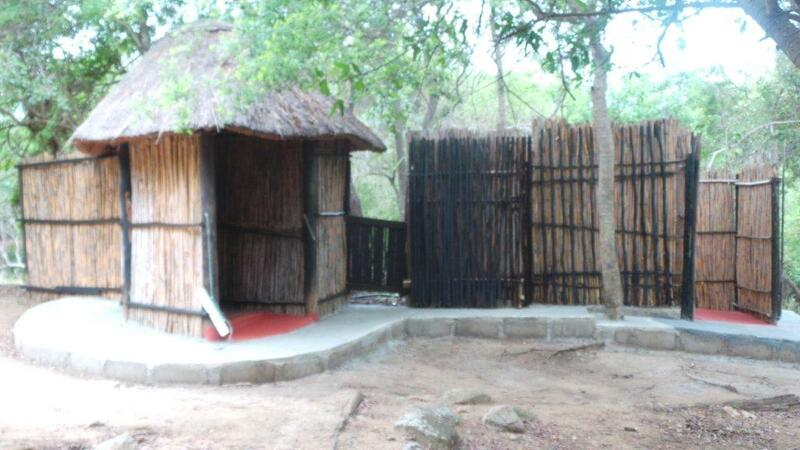 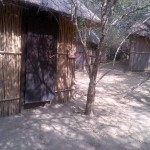 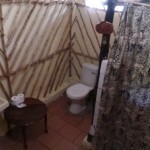 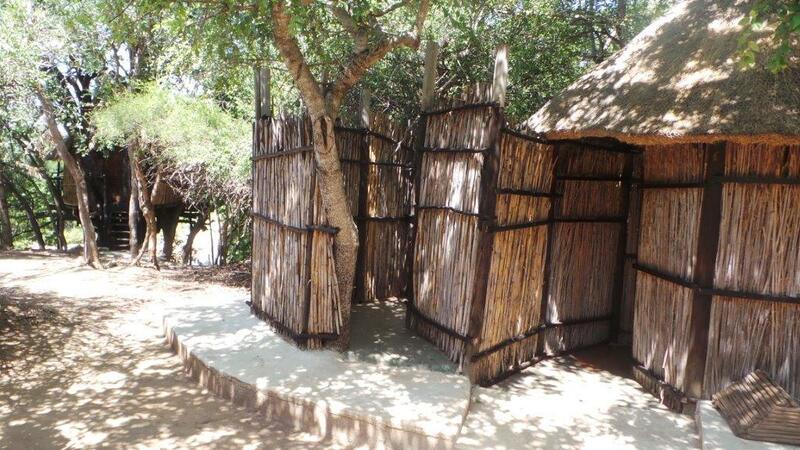 The toilet is just outside the front steps a short way from a double shower under thatch. 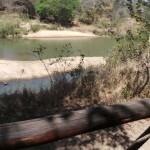 A bench overlooks a wide bend in the river. 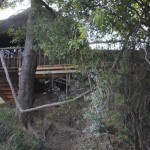 Treehouse 4 : The original treehouse was swept down the Klaserie River during the Jan 2012 floods. 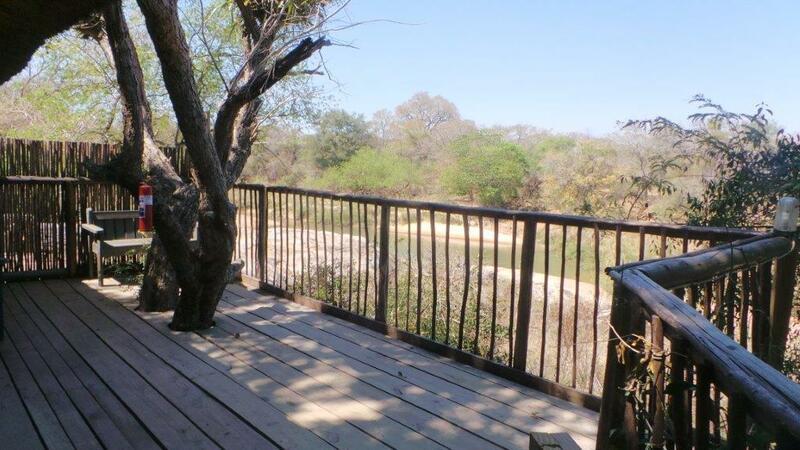 It has been replaced by an en suite double-bedded unit with great views of the floodplain. 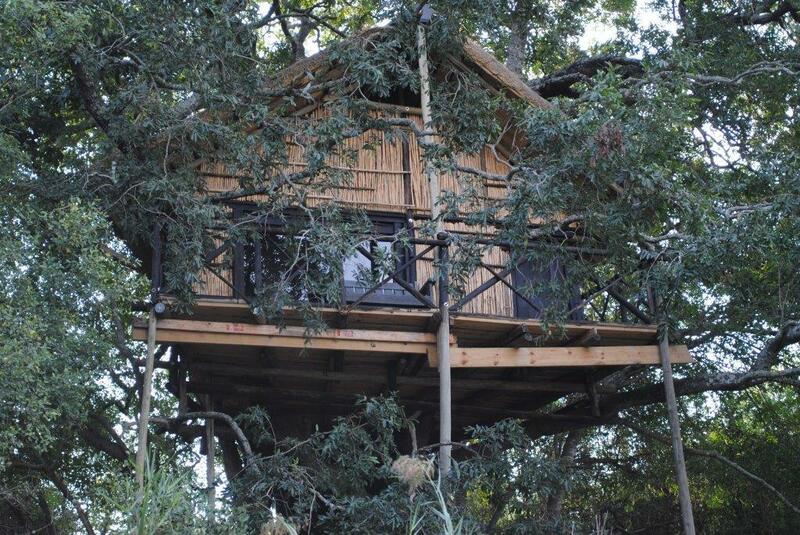 Treehouse 5 : The highest treehouse at the Lodge, this unit is over 10 m above the ground and is built in a sprawling White Stinkwood tree. 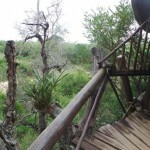 The view above the treetops is exceptional. 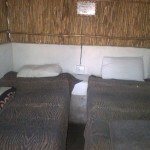 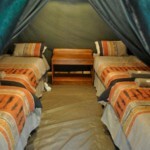 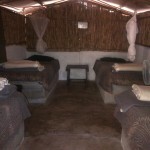 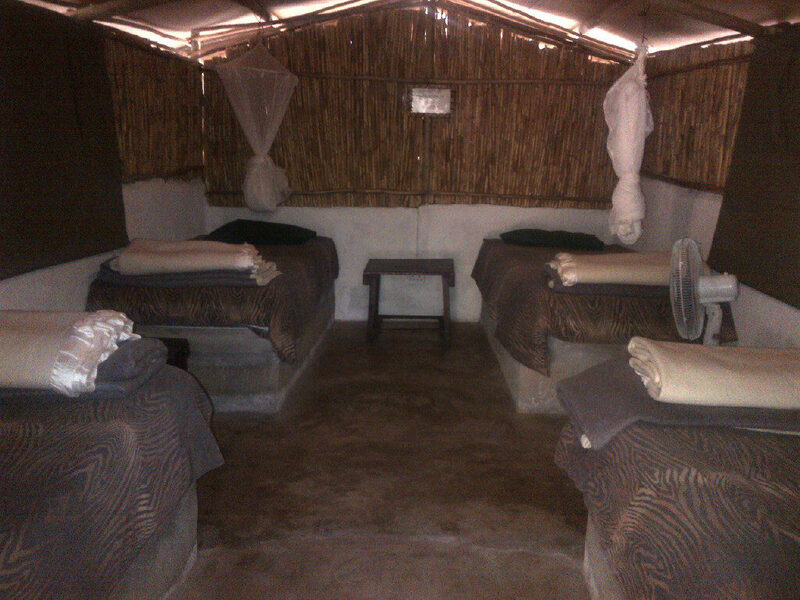 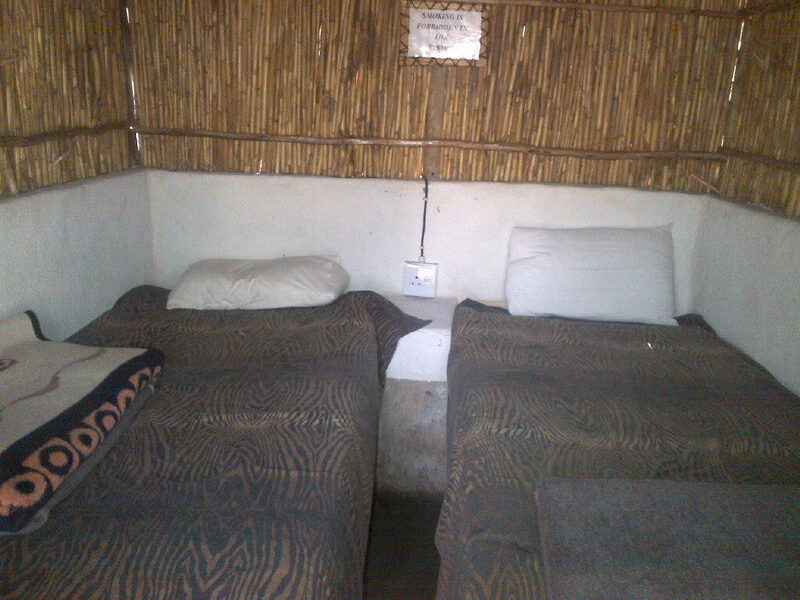 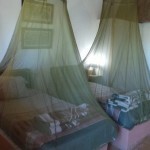 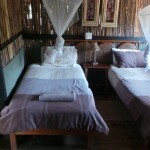 It has two single beds and is serviced by an outside toilet and open air shower. 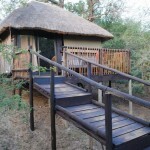 Treehouse 6 : Built on stilts under a dense canopy of trees, this unit has four single beds and is en suite. 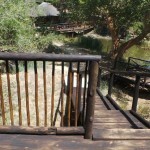 The outside deck affords a great view of the reeds in the river, a favourite hang-out for buffalo. 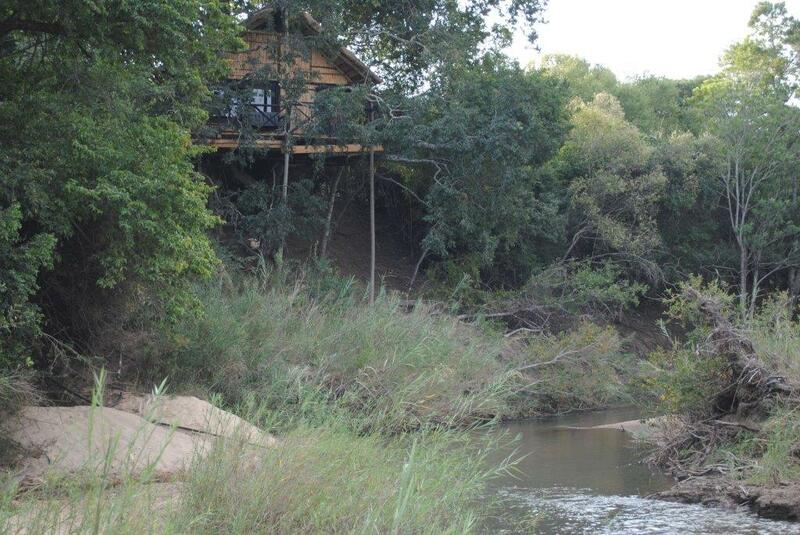 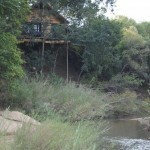 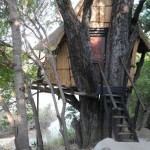 Treehouse 7 : Built high on a steep bank, this treehouse has an excellent view of the bend in the Klaserie River. 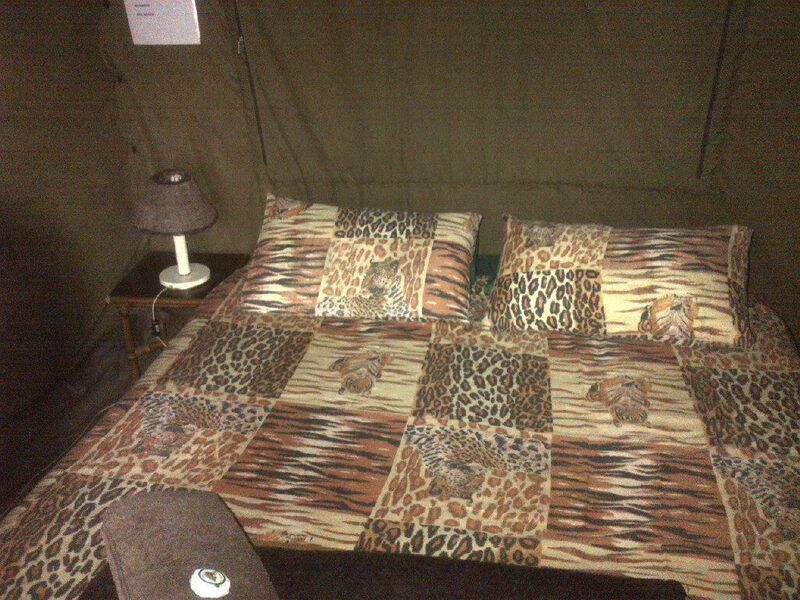 It has a double bed and is en suite. 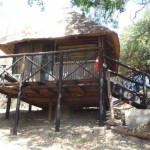 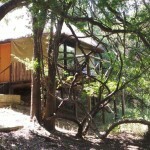 Treehouse 8 : Built on stilts alongside a beautiful granite rock extrusion, this unit has 1 double bed and 3 single beds. 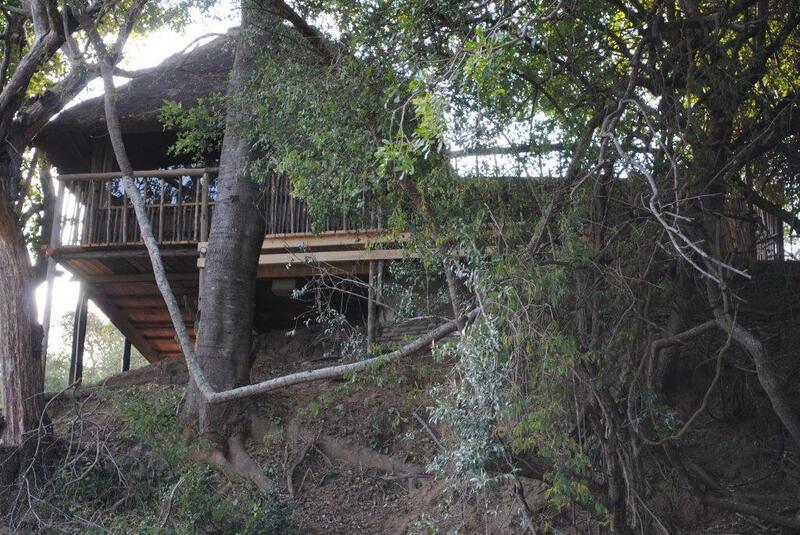 The deck has a tree growing through it and has place for those who are adventurous enough to sleep on their mattress under the stars. 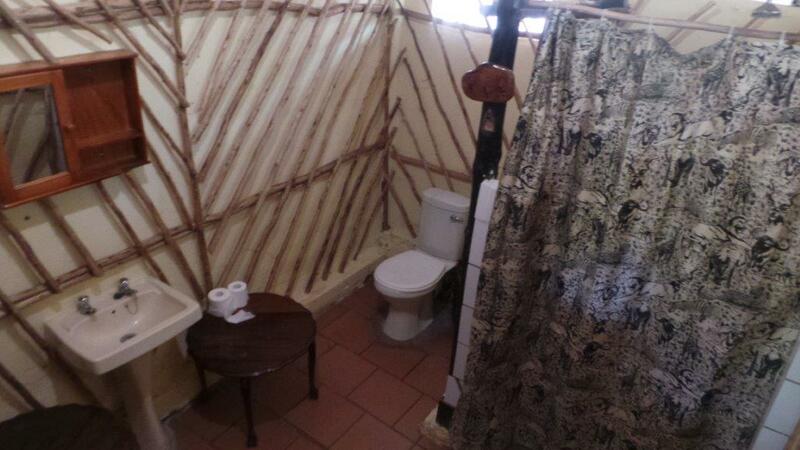 Ablutions are en suite. 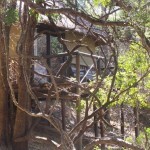 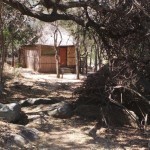 Treehouse 9 : At the extreme end of the property, this unit is on stilts and is accessed via a path through large rocks. 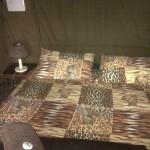 It has a double bed and is en suite. 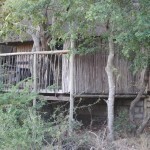 Nyala are often seen here. 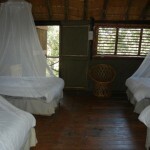 Treehouse 10 : This unit has an enclosed section with two single beds and two more beds near the windows. 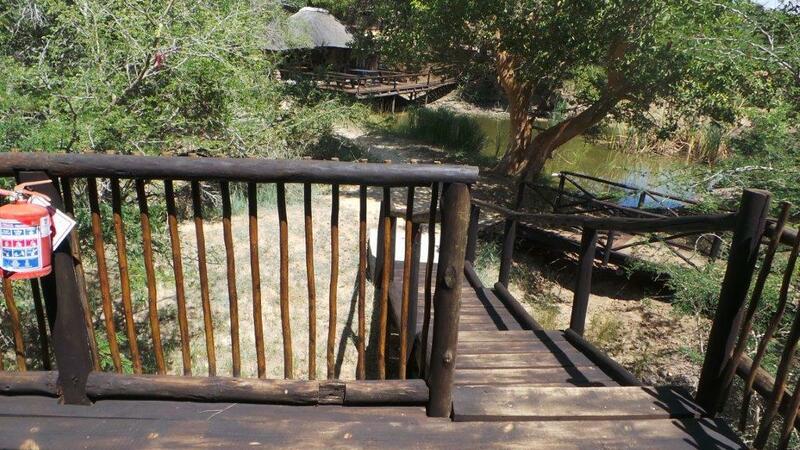 It is en suite and overlooks the Breakfast Dam. 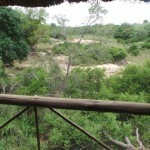 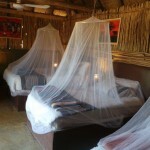 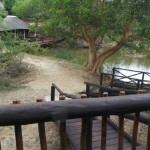 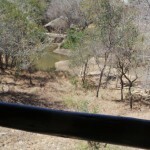 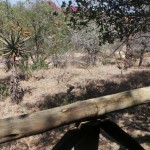 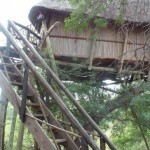 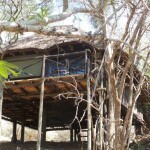 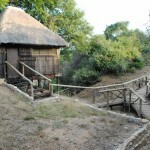 It is the nearest treehouse to the Boma. 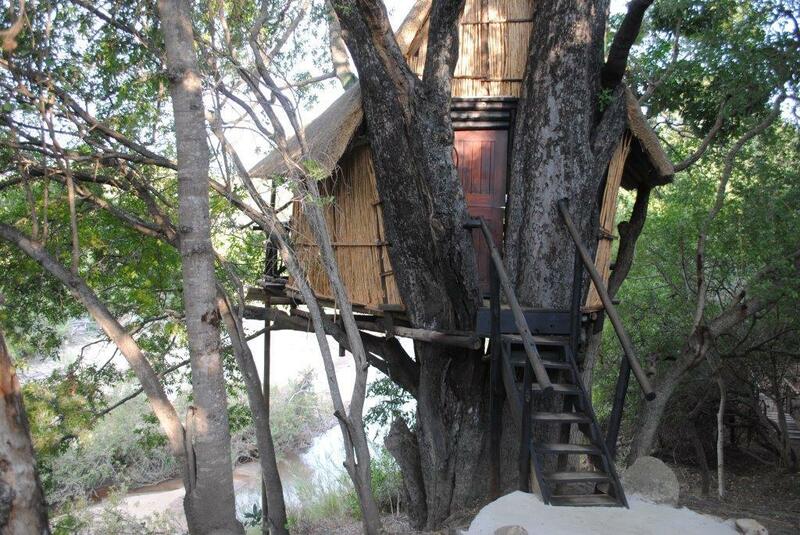 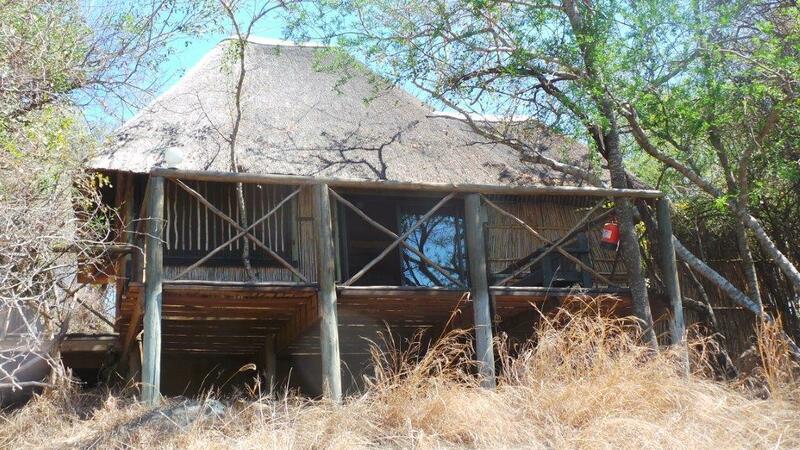 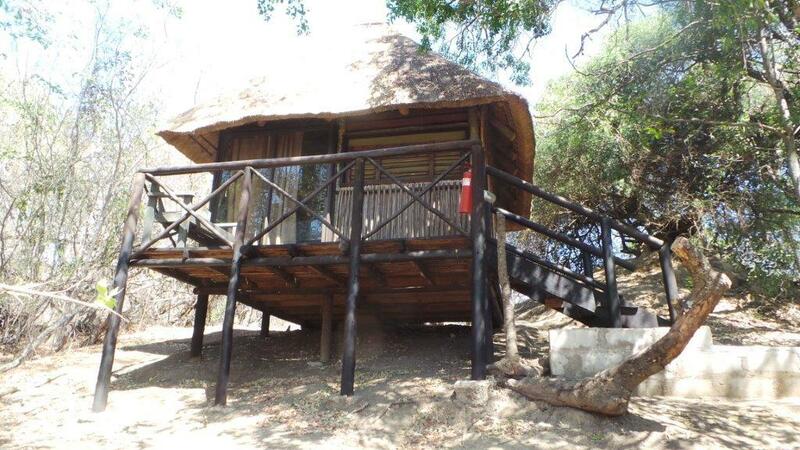 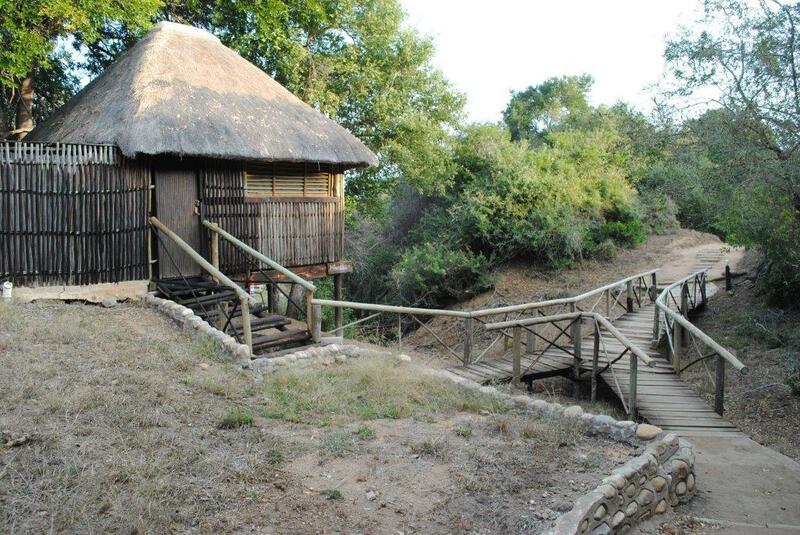 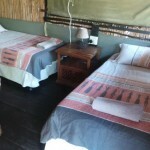 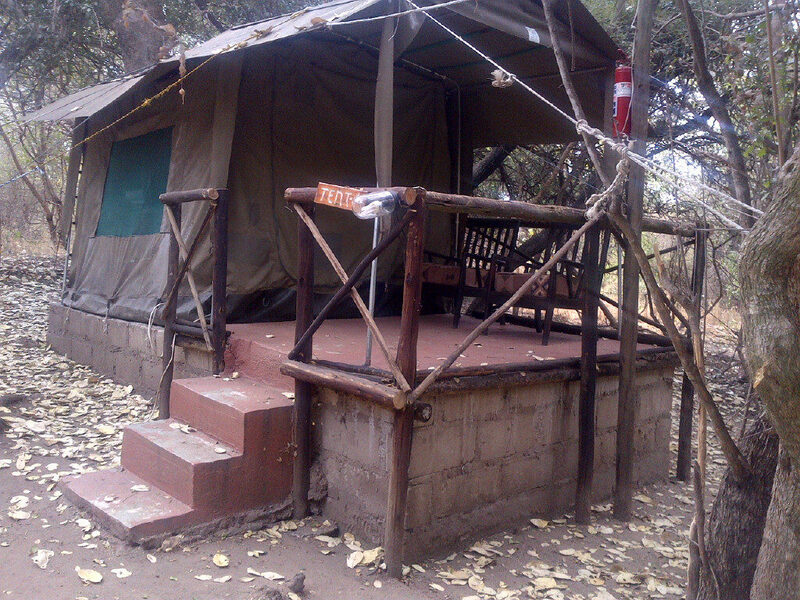 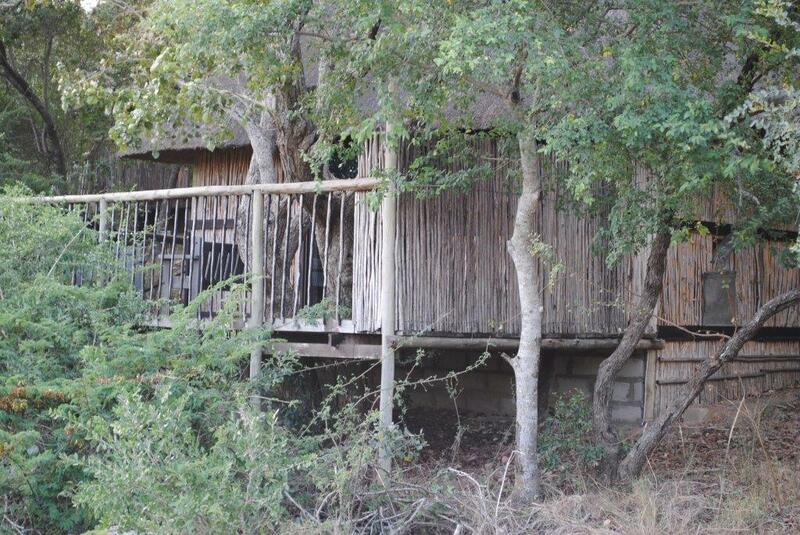 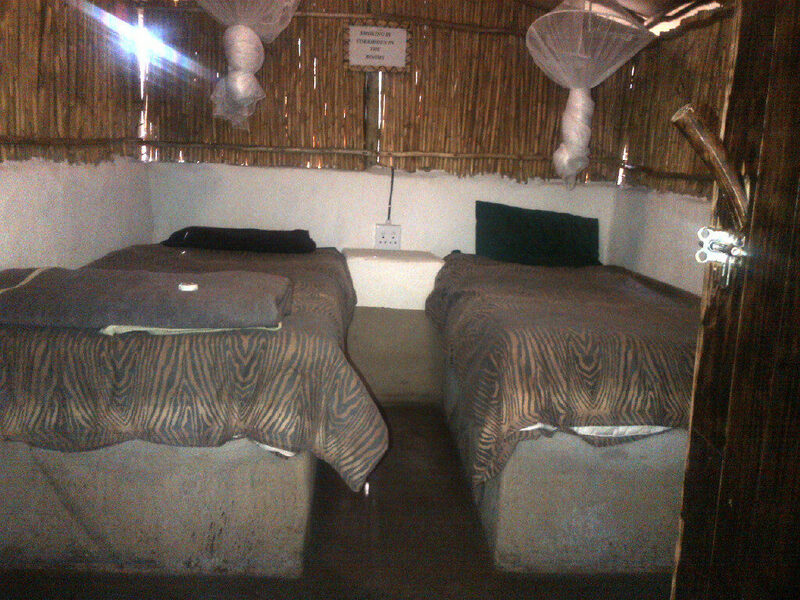 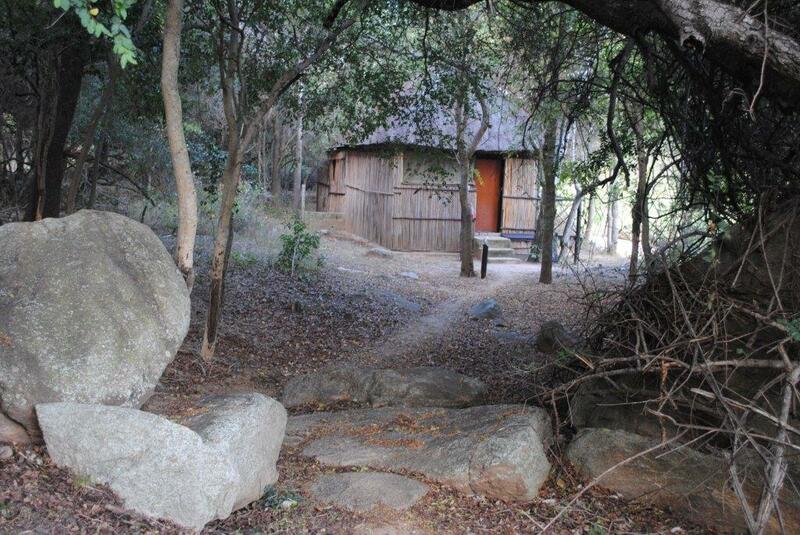 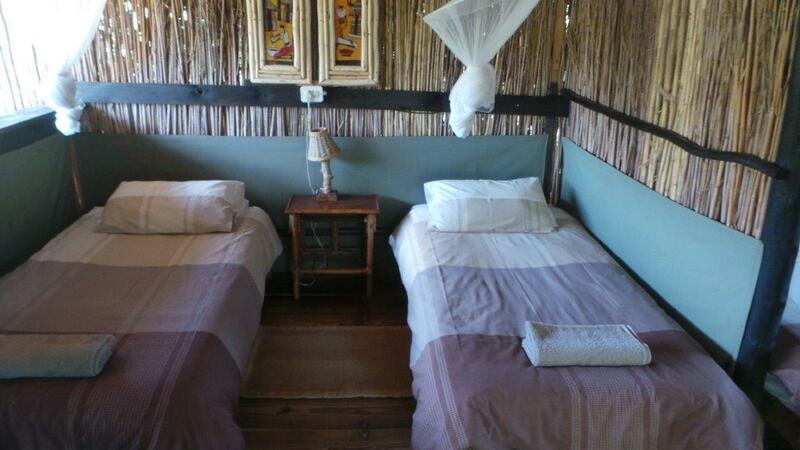 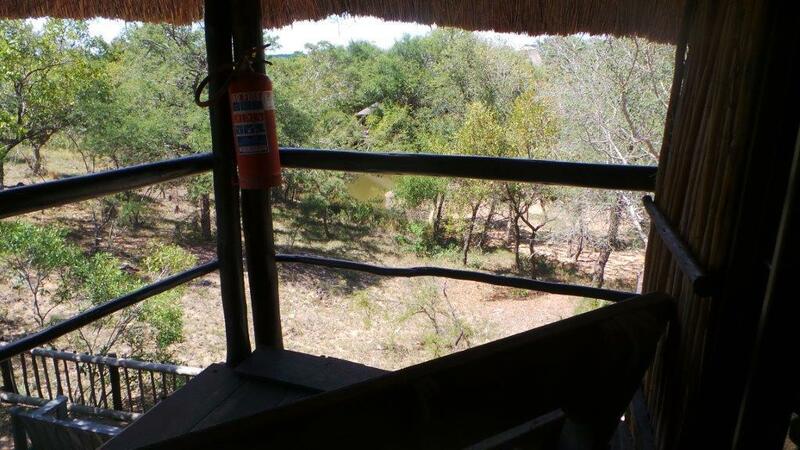 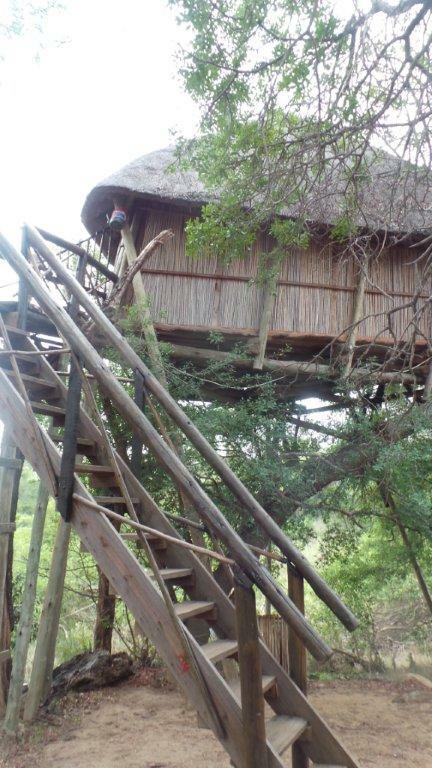 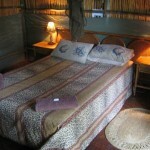 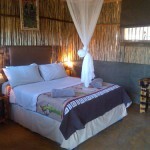 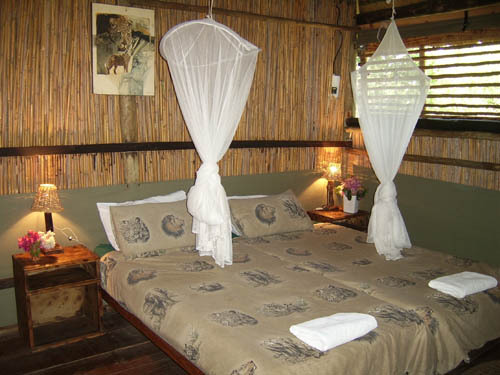 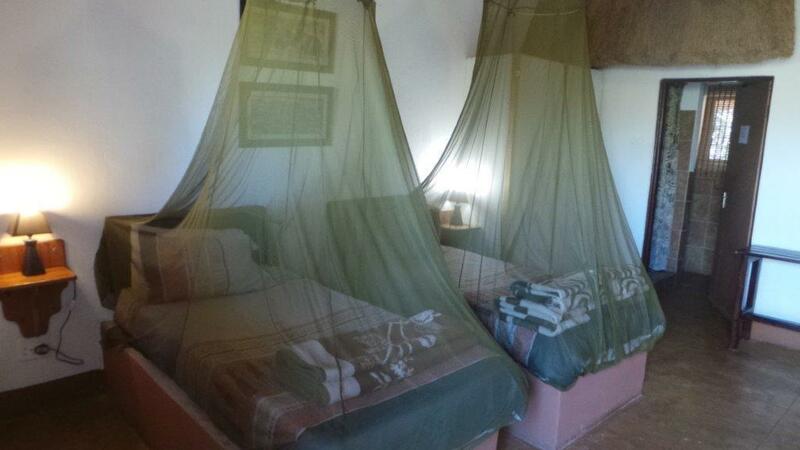 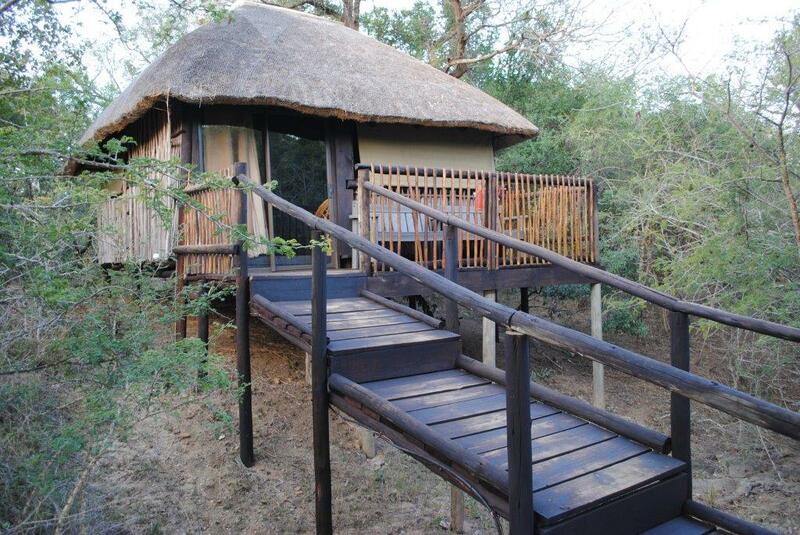 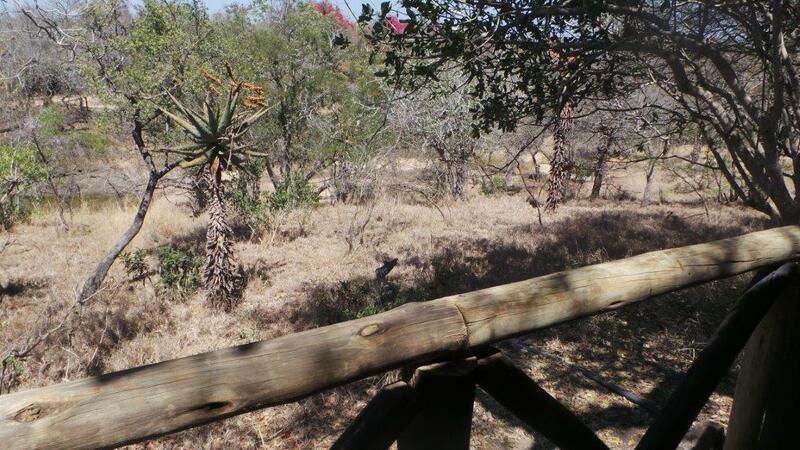 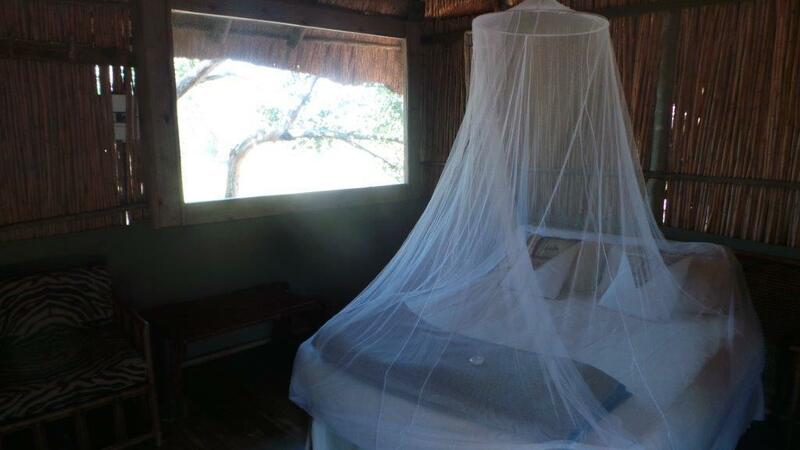 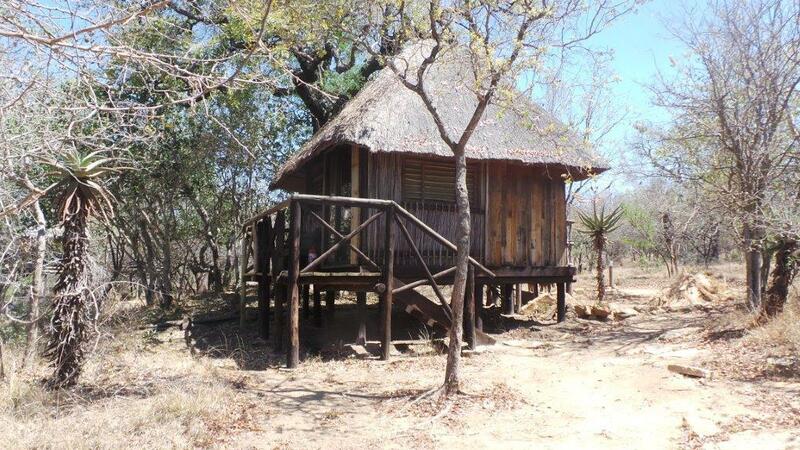 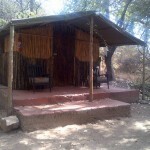 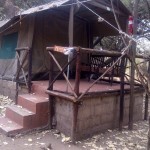 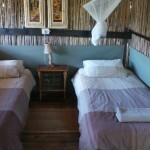 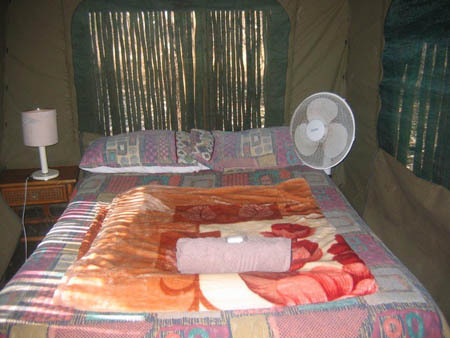 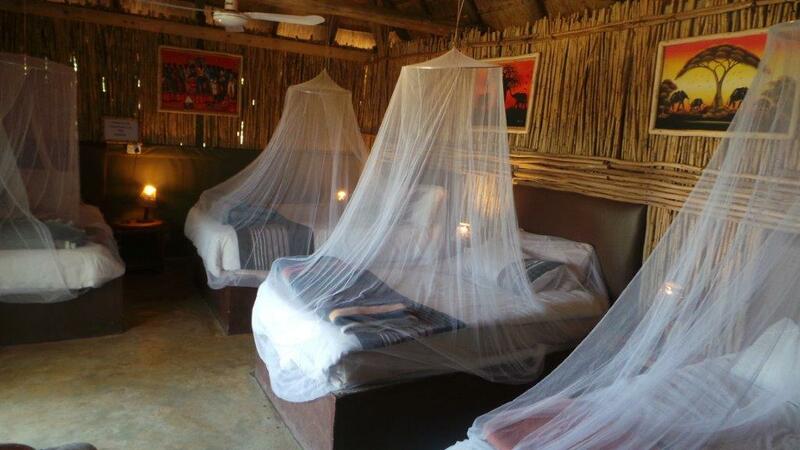 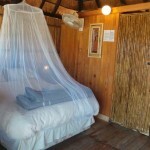 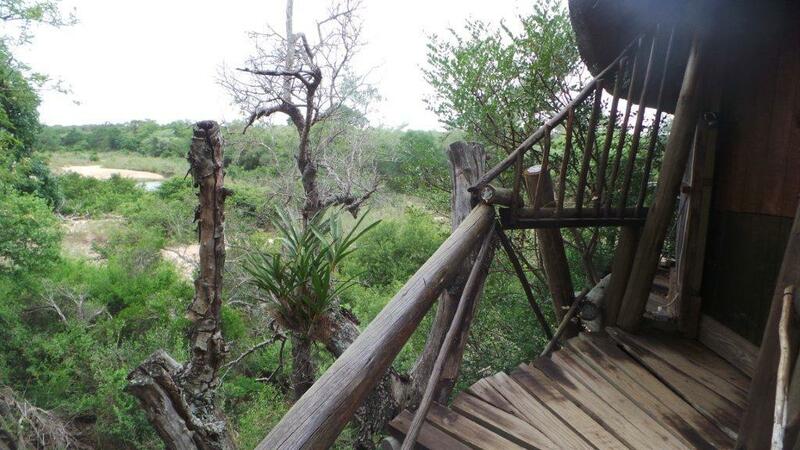 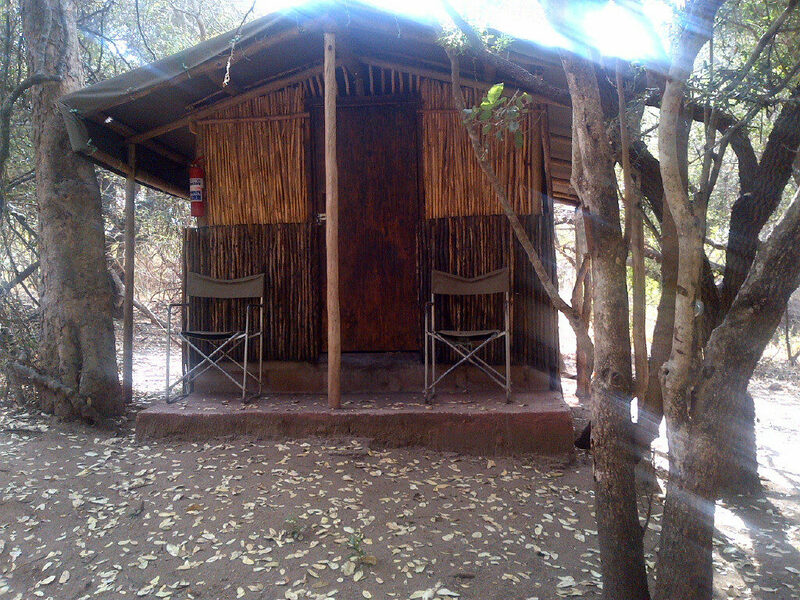 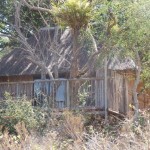 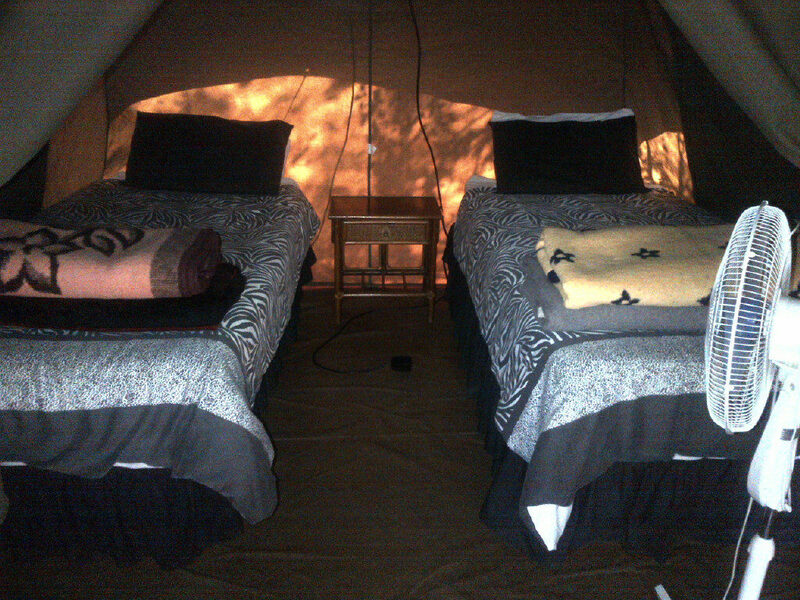 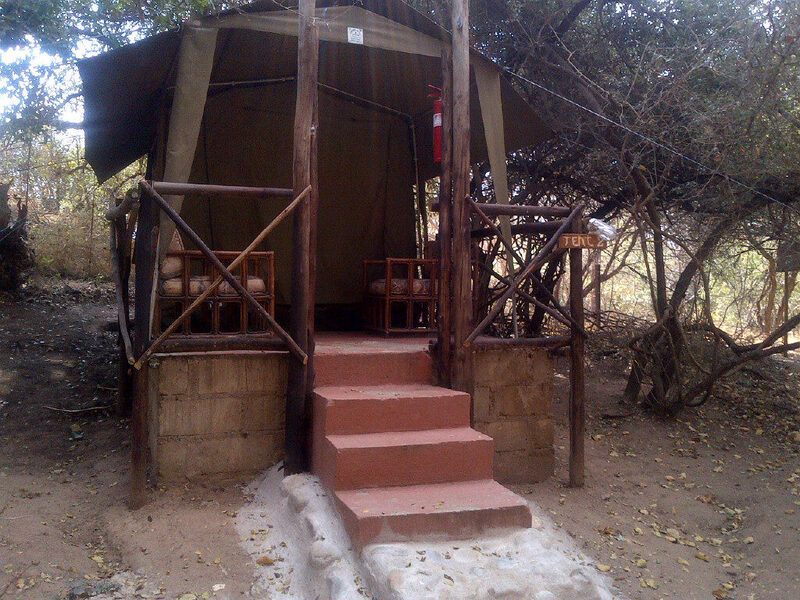 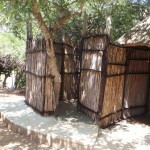 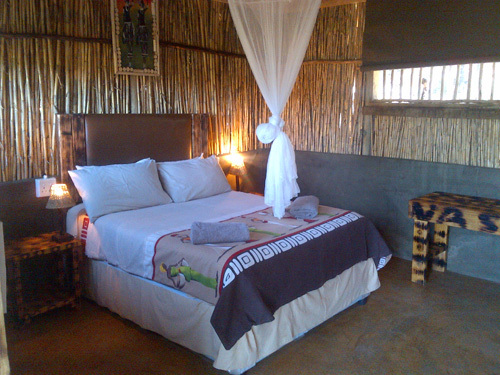 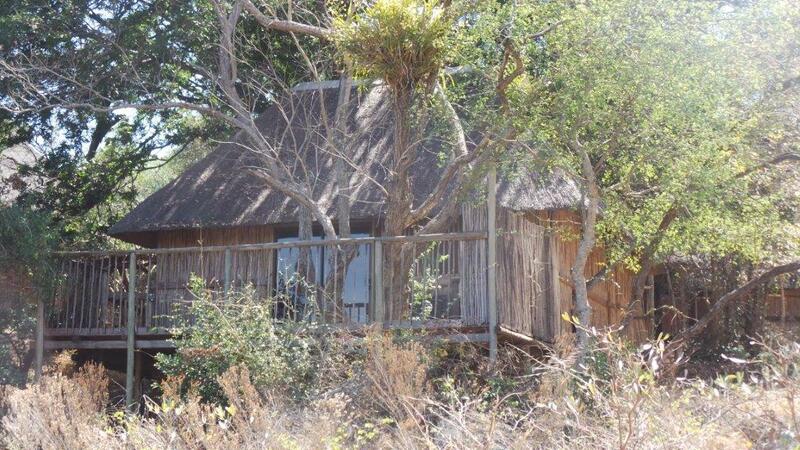 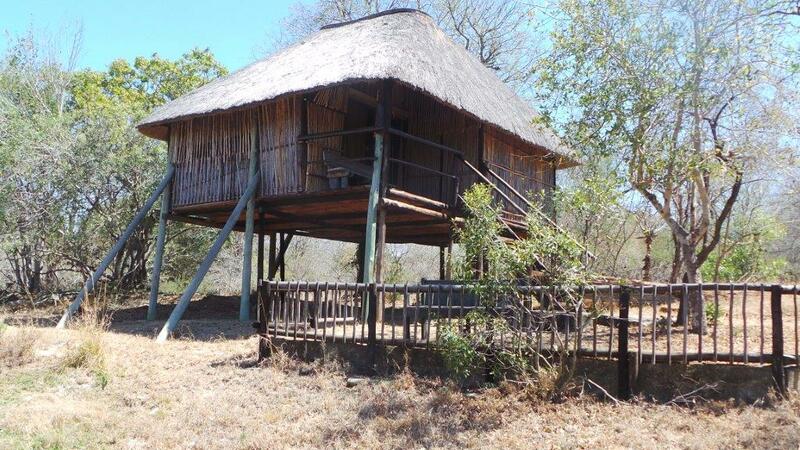 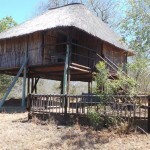 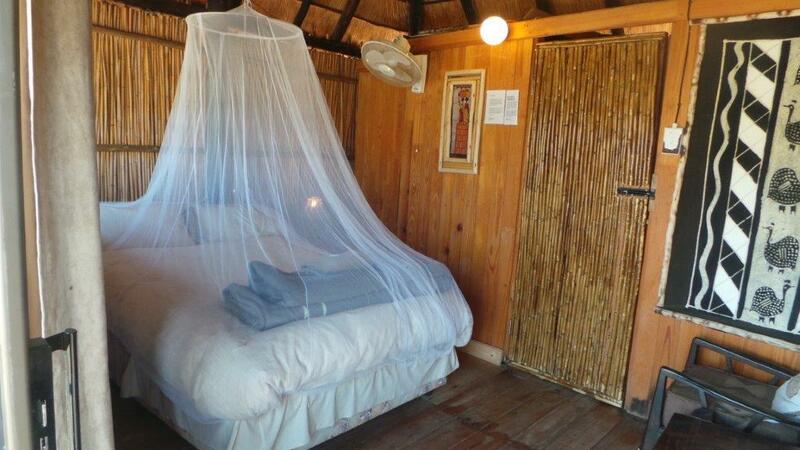 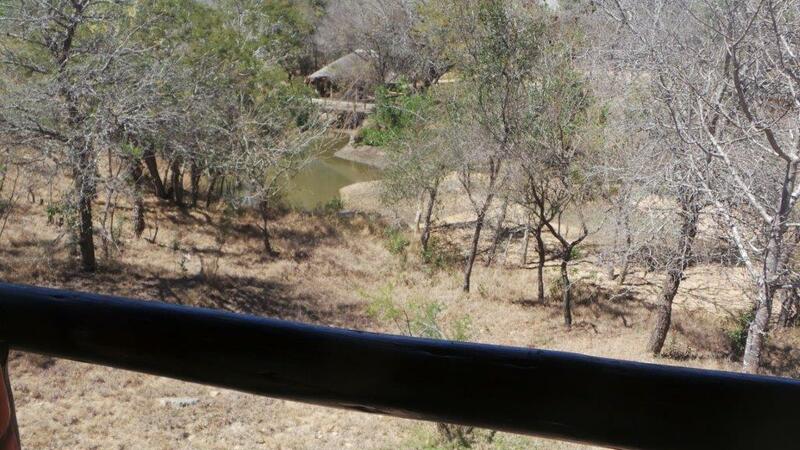 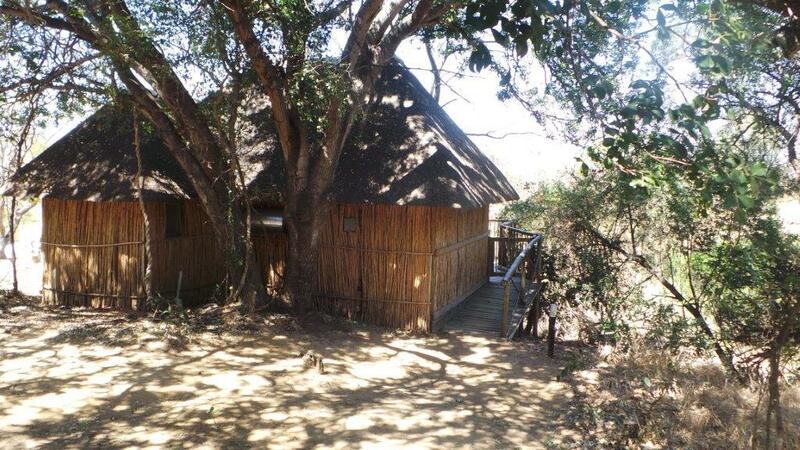 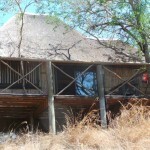 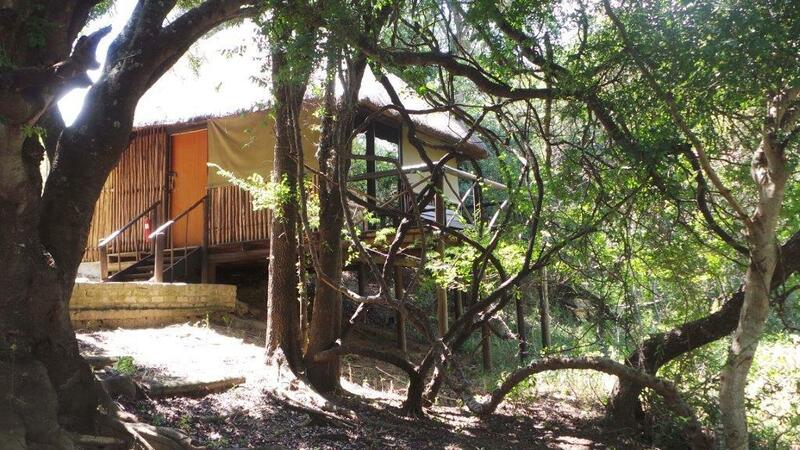 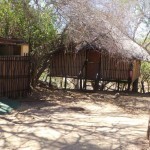 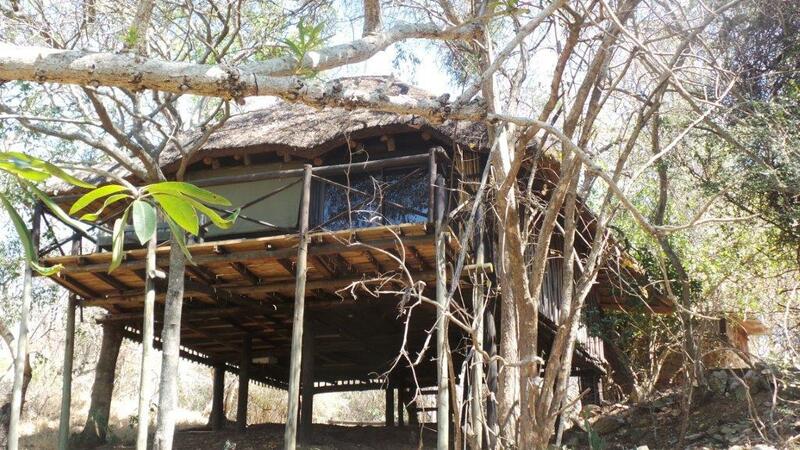 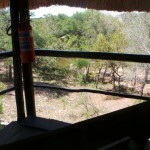 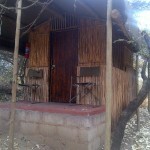 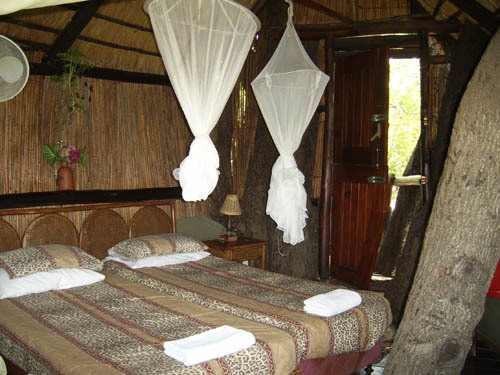 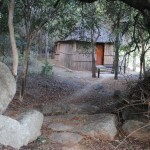 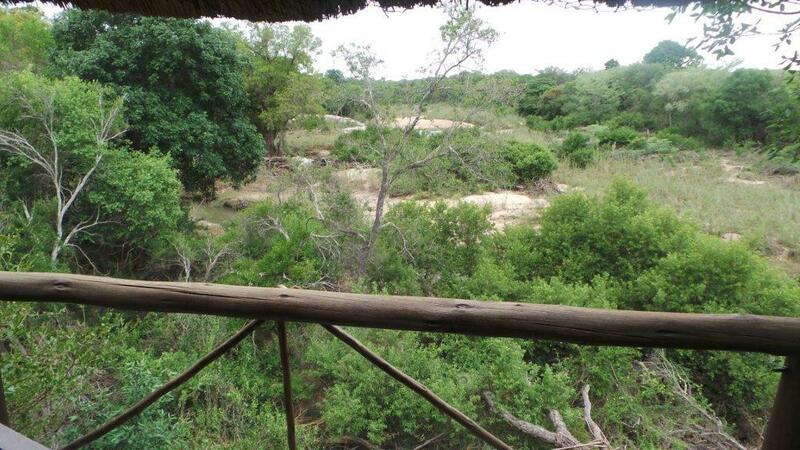 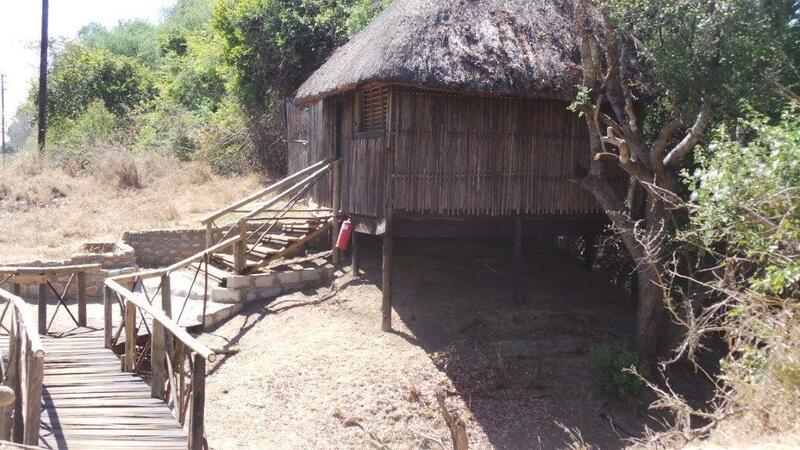 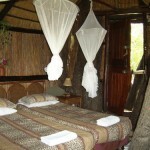 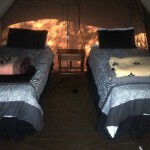 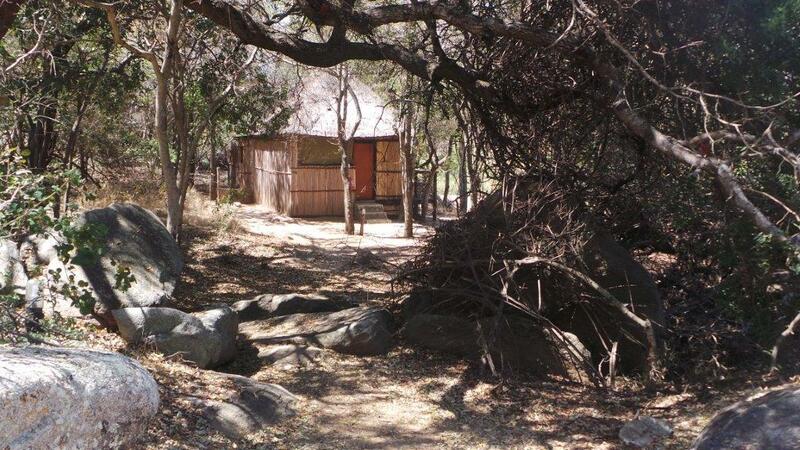 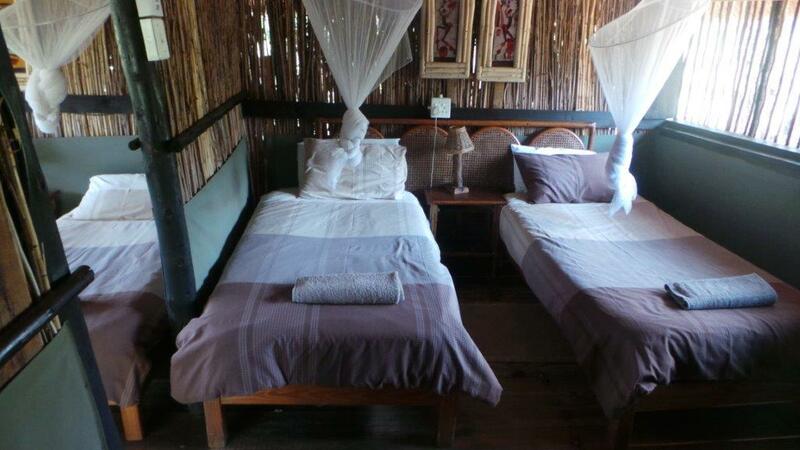 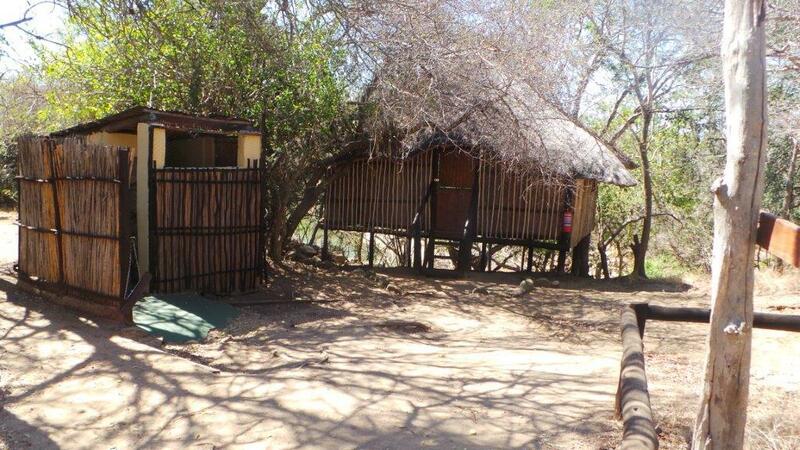 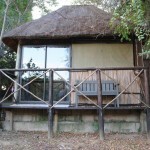 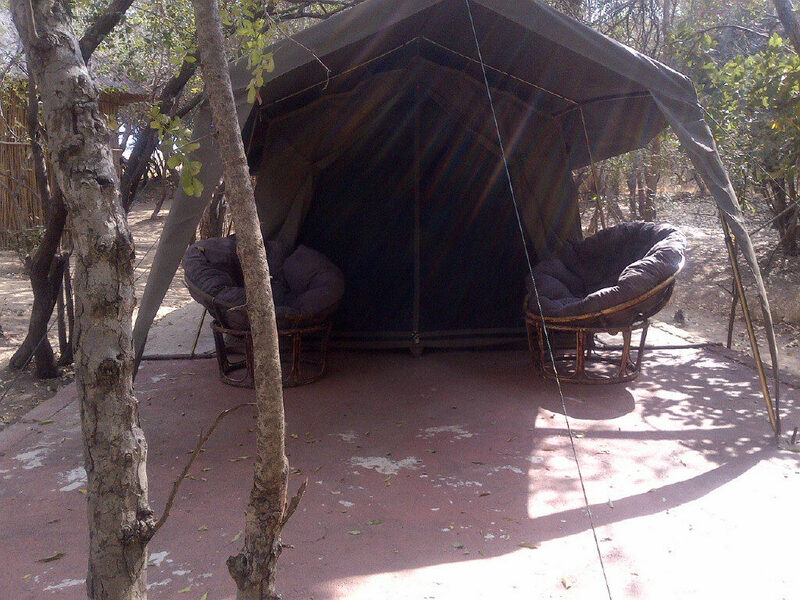 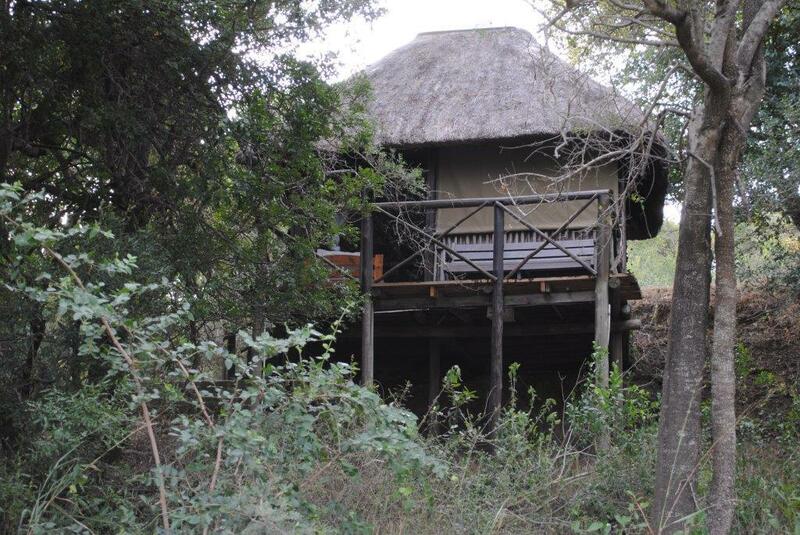 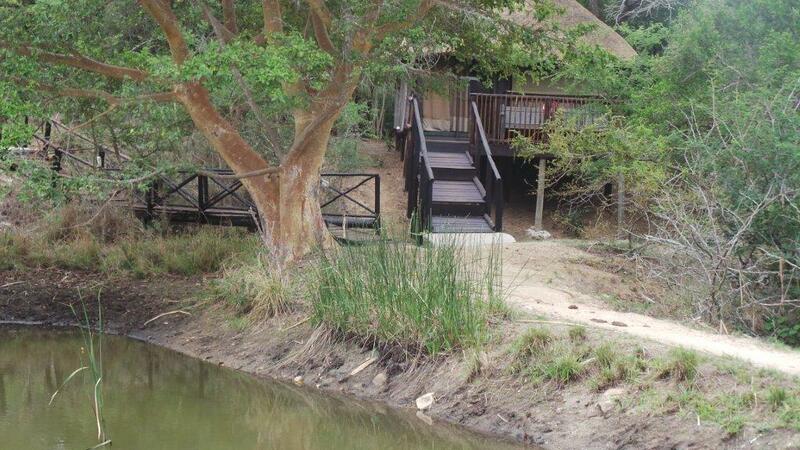 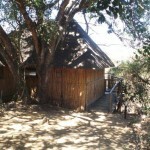 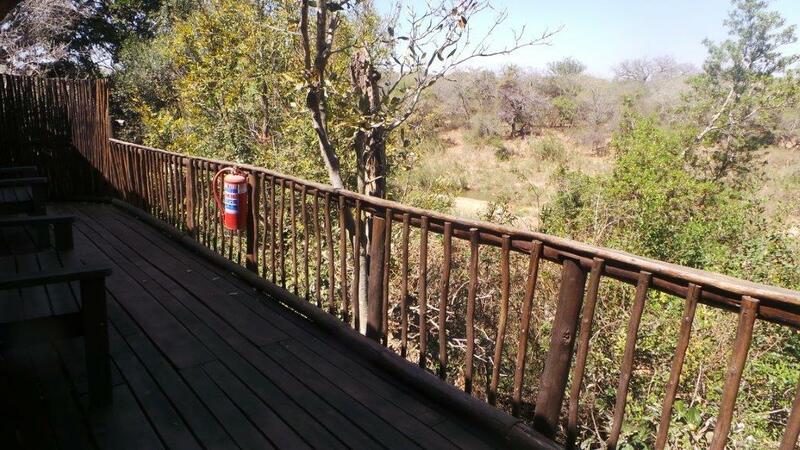 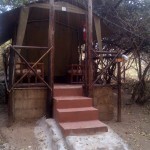 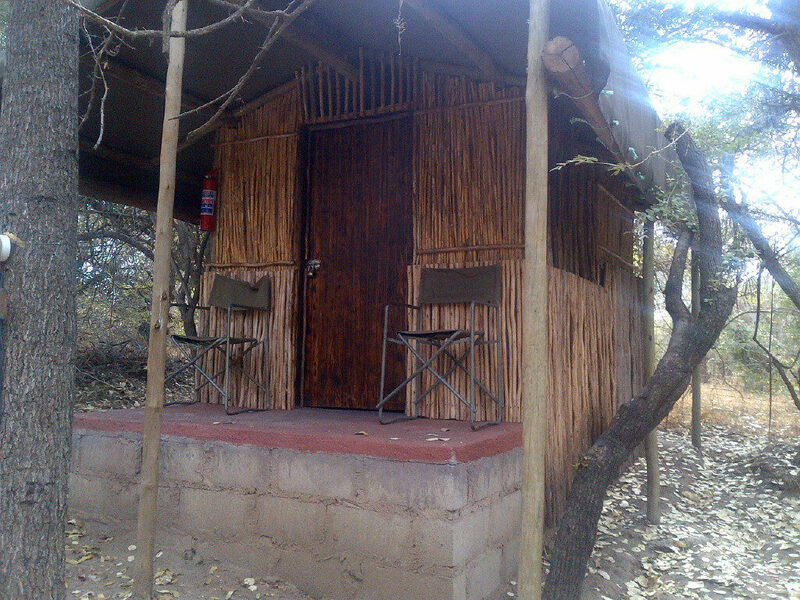 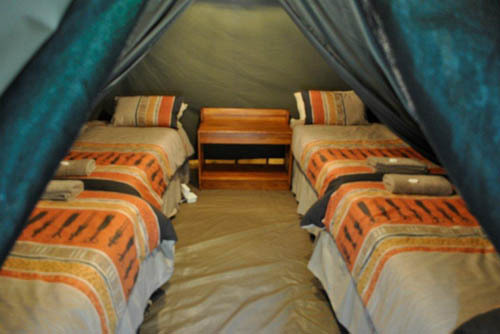 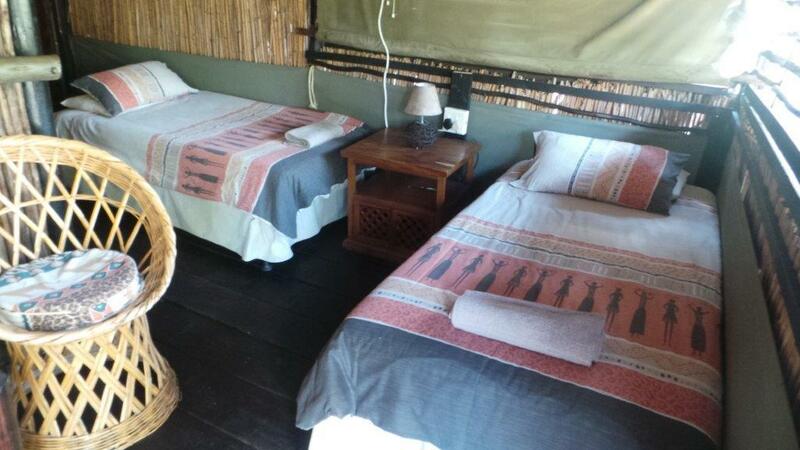 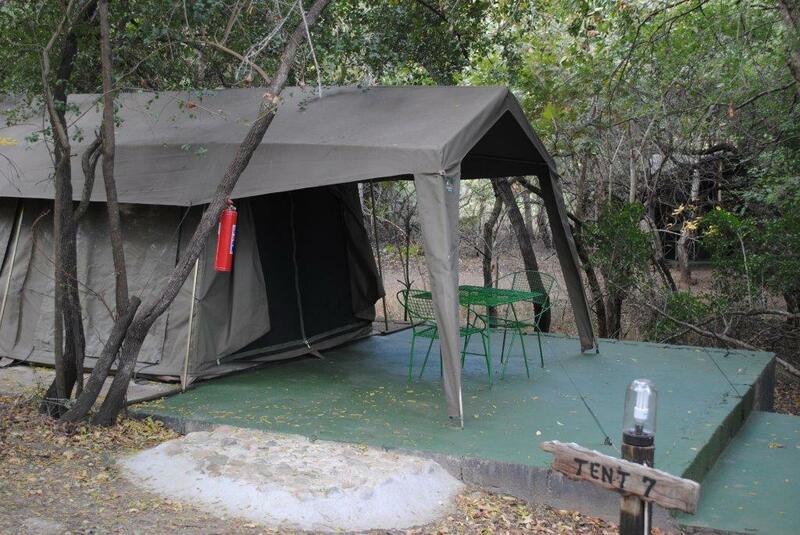 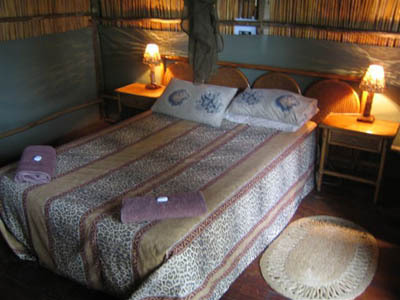 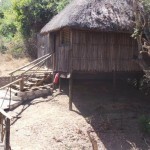 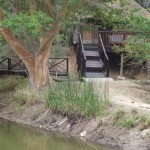 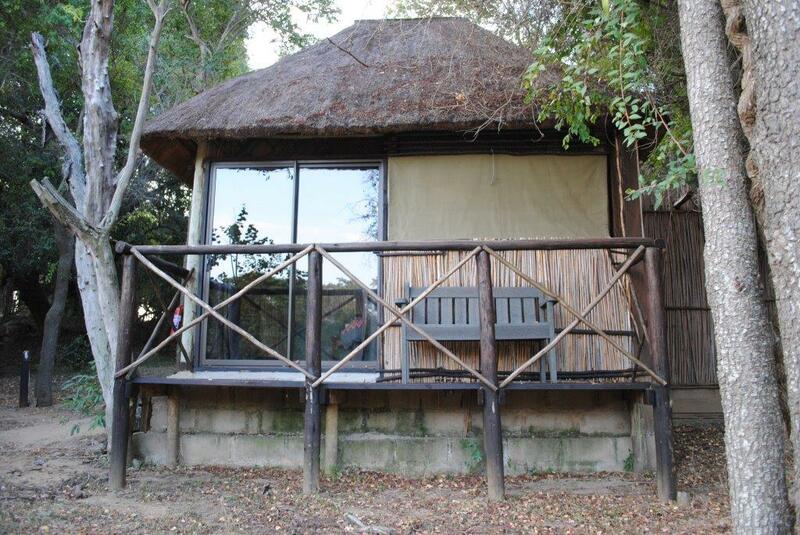 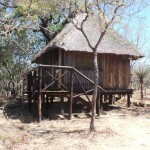 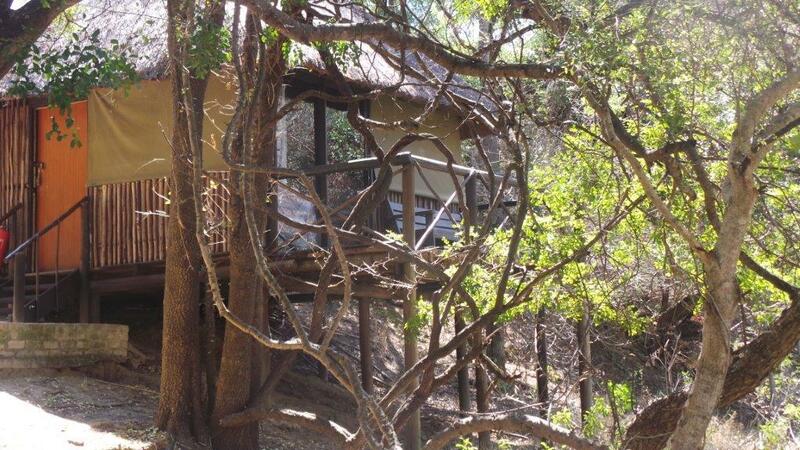 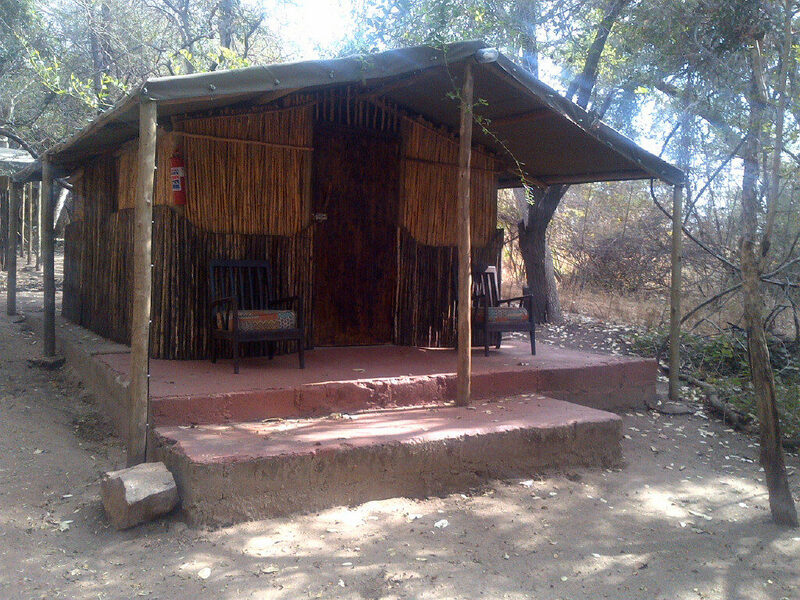 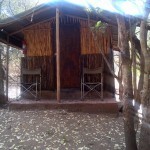 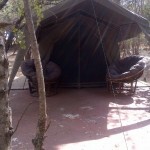 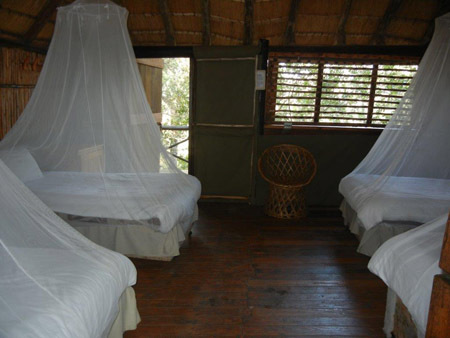 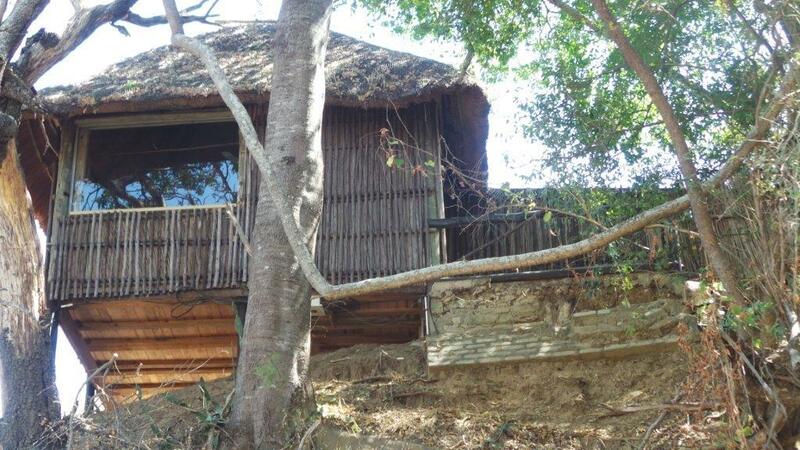 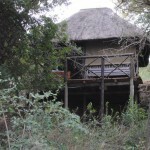 Treehouse 11 : Built under the shade of a sprawling Jackalberry tree, this unit is en suite and has a double bed. 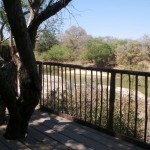 It has an excellent view of the Breakfast Dam. 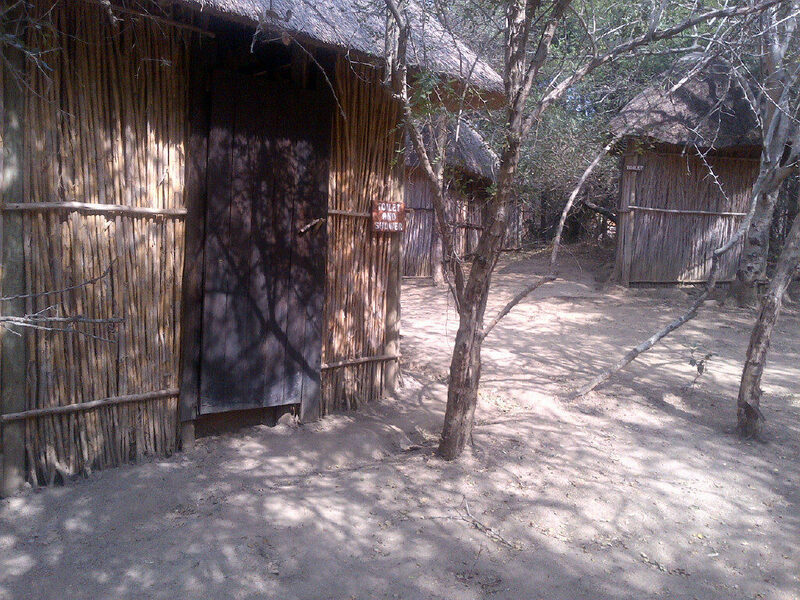 Treehouse 12 : Originally the manager’s unit, this treehouse has two rooms each with two single beds. 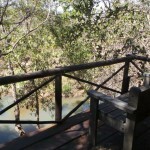 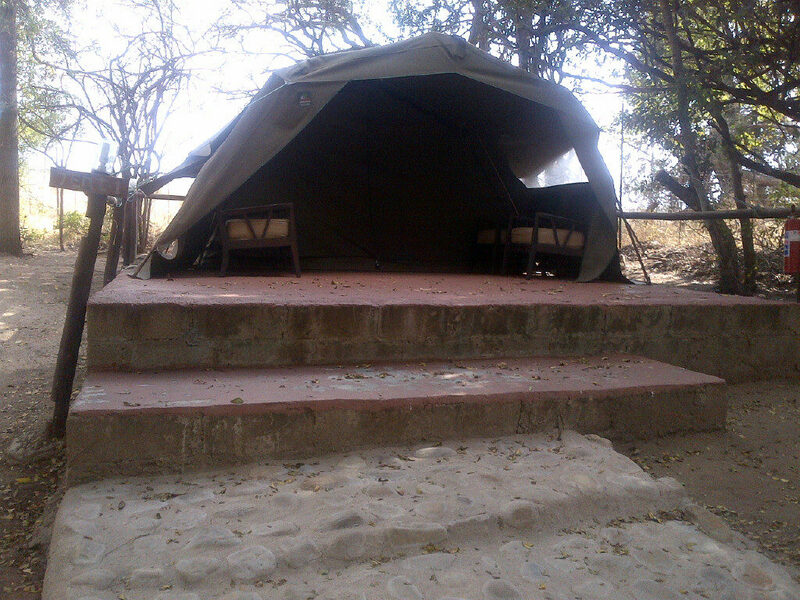 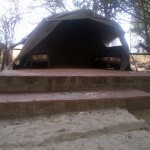 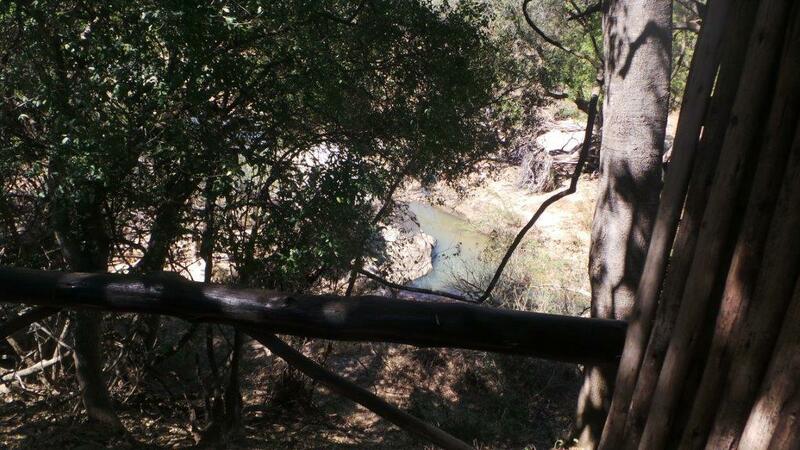 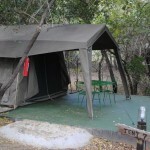 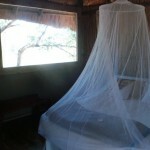 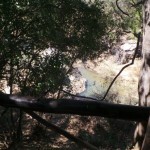 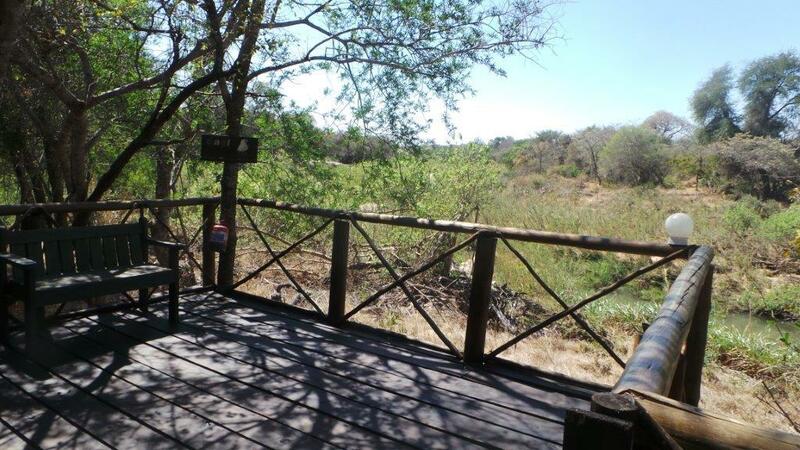 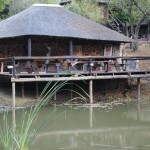 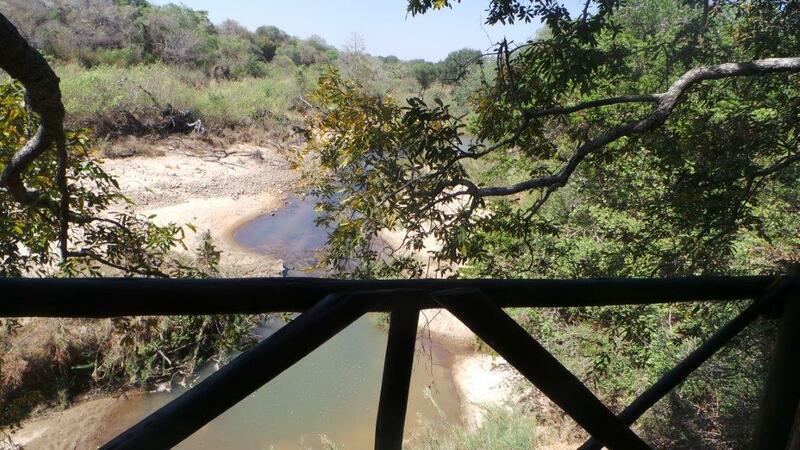 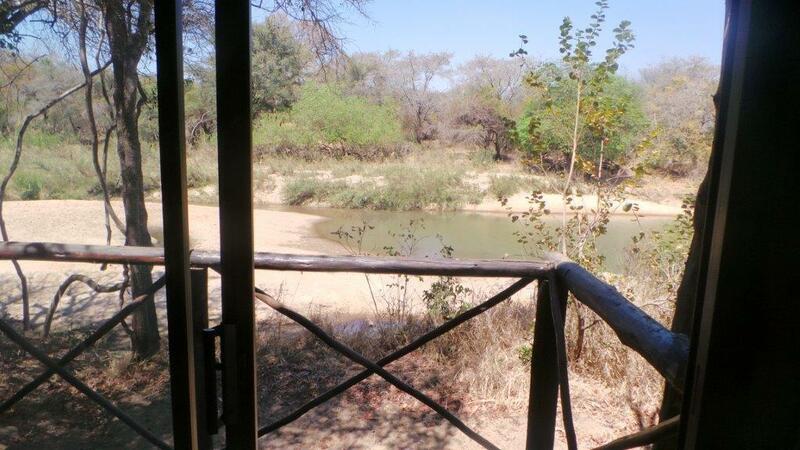 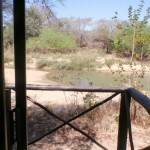 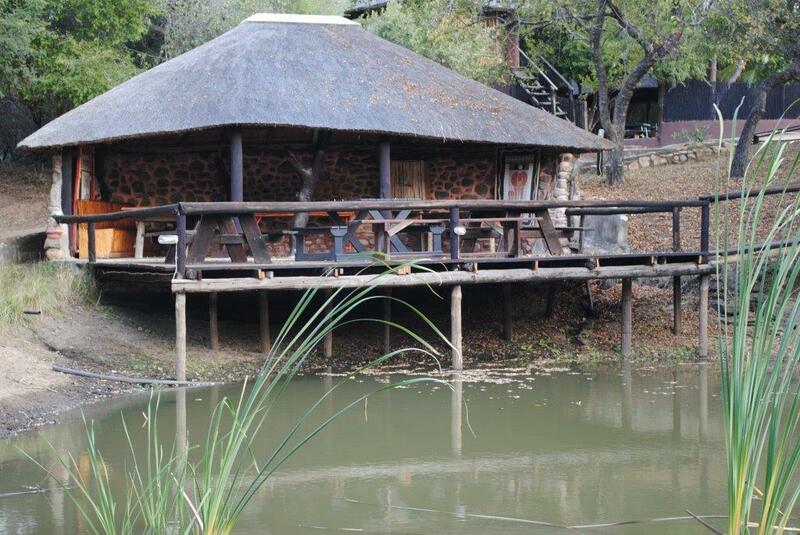 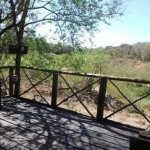 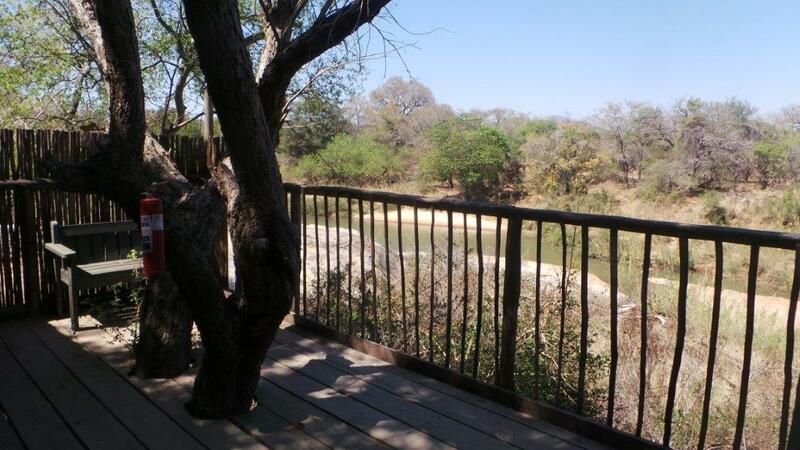 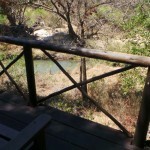 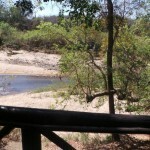 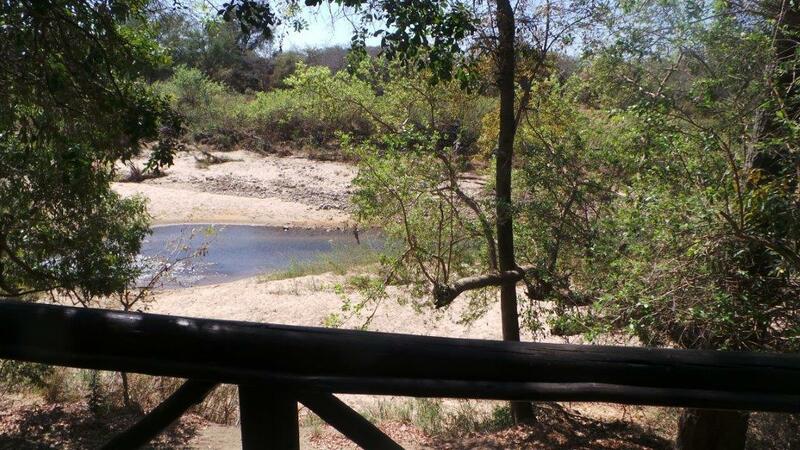 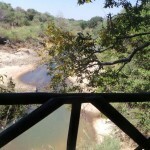 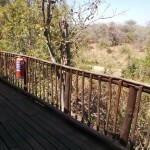 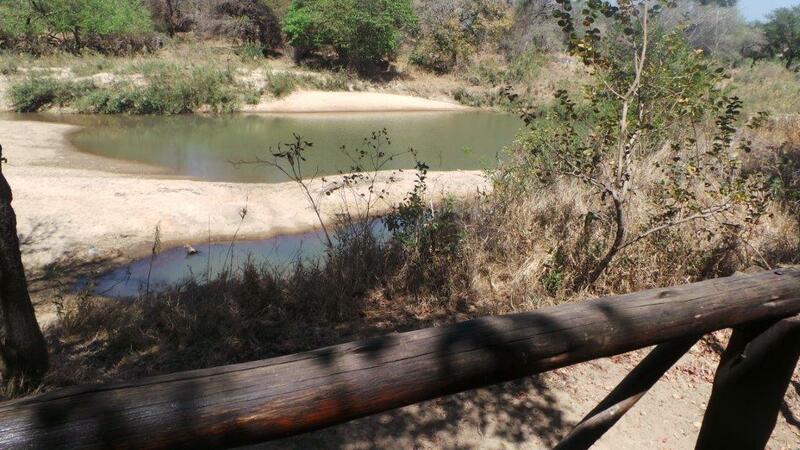 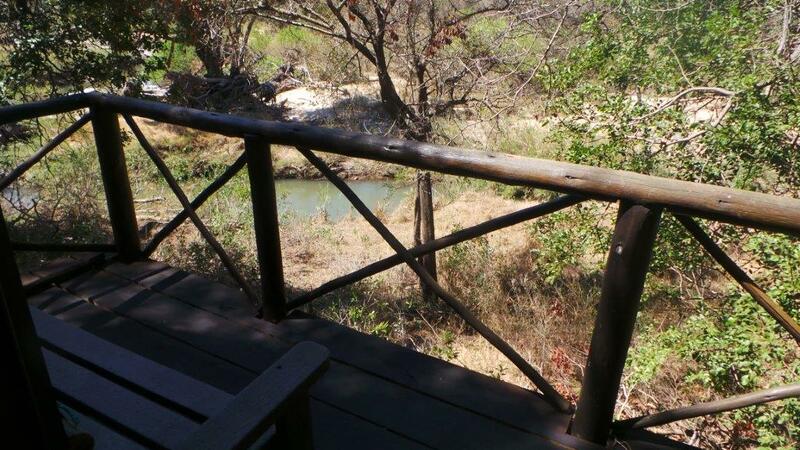 It has an excellent view of the top end of Breakfast Dam and is the nearest unit to the main lodge.